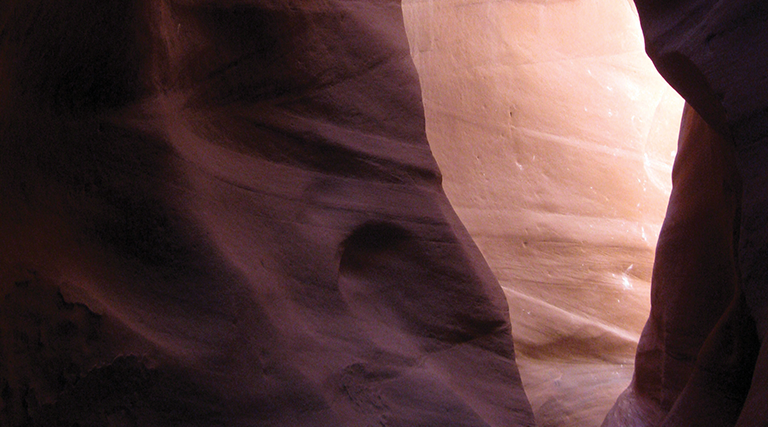 The idea of navigating one of Utah’s slot canyons has long terrified me. Even before the movie 127 Hours sent me over the edge (pun intended), my moderate claustrophobia and less than lithe shape (what if I get stuck? ), kept me from going near one. Even still, I was intrigued by photos my husband, Martin, showed me after he trailblazed through these sandstone snakes over the years. The striping on the walls, the stones that change in the shadows, and the curves, contours and textures shaped by erosion and time were breathtaking. Still, I hesitated. About a year and half ago, he convinced me to join him and some friends in checking out Leprechaun Canyon (CanyonCollective.com), located off Highway 95, some 29 miles southeast of Hanksville. “It’s easy,” he said. I’d fallen for that promise before and was apprehensive. Our friends convinced me that they’d save me if the trail became too challenging. I also read up on the trail and location ahead of time … always a good idea, regardless of one’s level of hiking skill. As to where we’d stay, we had several choices of campgrounds to choose from. Goblin Valley State Park (StateParks.Utah.gov/parks/goblin-valley/) is an hour from the trailhead to Leprechaun Canyon. There’s also the more primitive Sandthrax Campground (FreeCampsites.net), just beyond the canyon’s trailhead if you want to stay close. My husband and I also love Green River State Park (StateParks.Utah.gov/parks/green-river/) with its large trees that offer plenty of shade, its ample space between campsites and its modern hookups and showers. There’s even a nine-hole golf course if that’s your cup of tea. Only an hour and a half away from Leprechaun Canyon, Green River State Park’s central location allows us to kayak on the Green or Colorado rivers, visit the ghost town of Sego, take in the rock art at Thompson Springs or even drive into Moab. This is where we ultimately set up camp for this trip, and our friends were kind enough to shuttle us to the trailhead, even though there is a small parking area off Highway 95, east of mile marker 28. We visited in October, and the weather was perfect (the weather is usually great for fall or spring hiking). 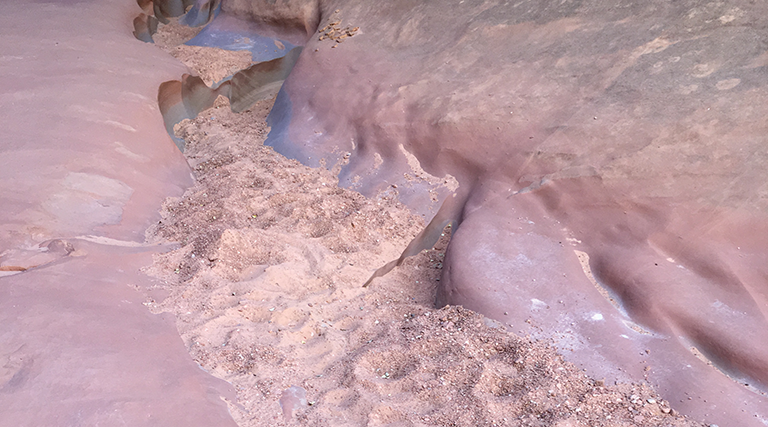 Leprechaun Canyon is also dog friendly—something we look for when we hike. The nontechnical part of the trail takes about two hours, just right for a morning hike. Technical climbers have multiple options in the three forks beyond the hiking trail. For those wanting a more leisurely hike, you’ll find plenty to enjoy. And, for claustrophobes like me, the trail offers a balance between wide slickrock spaces to explore and narrow slot openings. 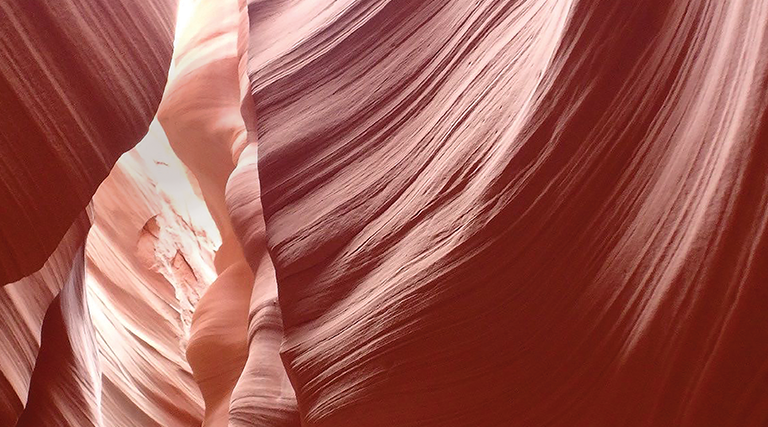 For first-timers, it’s a great place to experience a slot canyon. There was one sizable boulder that I had to navigate, but our friends helped me scale it. We saw a variety of ages and abilities of hikers; I’d feel comfortable taking younger kids on the main trail as it’s rated “easy” on most hiking websites. Over the years, spending time in the outdoors has become a passion for me. 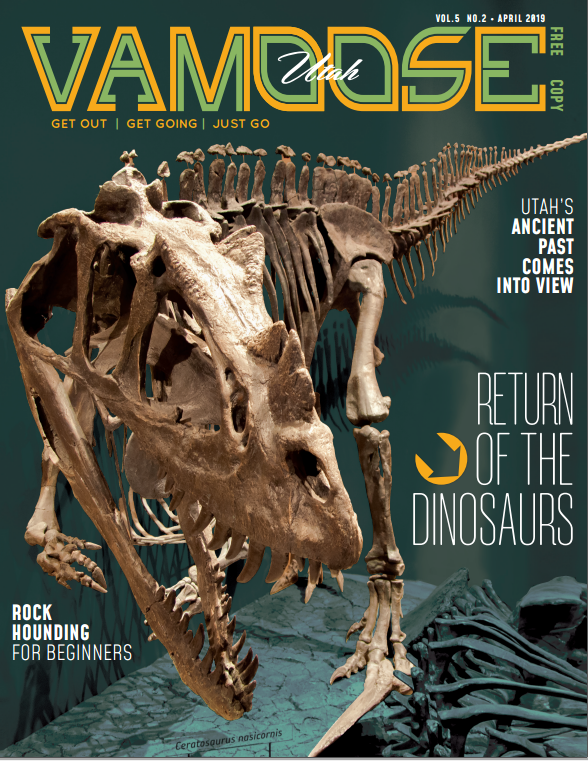 As a new columnist for Vamoose, I’m looking forward to sharing the outdoor adventures that I experience with my husband, Martin, and our border collie/co-pilot, Kihei, as we explore Utah and the West. My hope is that you’ll find our travelogue helpful as you plan your own journeys. I honestly never thought I’d love “glamping” as much as I do. For readers who only know me as a (recently retired) state legislator, bumping into my alter-ego—the traveler, lover of pine and lake, and roasted-marshmallow connoisseur (they’re delicious dipped in Bailey’s Irish Cream)—might come as a surprise. My husband loves camping, but he likes “real” camping: backpacking for miles on end to set up a tent in the middle of the Uintas and fly fish there to his heart’s content. When our kids were little, we’d car camp with a large six-person tent and a bunch of storage bins filled with juice boxes, graham crackers and camping supplies. But that experience got old as I—and my back, knees, and hips—also got older. Truth be told, warmth, beds that aren’t on the ground and flushing toilets are much more my style. So, in 2012, we embraced a new form of “camping,” in a 24-foot, Class C Winnebago View. While traveling the open road, we often learn things we wish we would have known about ahead of time. I began to keep notes and started my blog, Roam With a View, (RoamWithAView.tumblr.com/) to share tips with other campers. 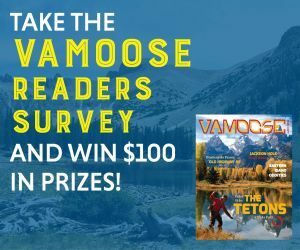 I’m hoping that sharing this companion column with Vamoose readers will help those of you who make campgrounds your home away from home. In enjoying the wilderness, I am always mindful of my role as a steward and advocate. I was taught these principles by my parents who were active in Latino social-justice issues. Advocacy is what redirected me from a career in journalism to one in nonprofit management and eventually to Utah’s Capitol Hill. My love for the outdoors and travel cannot be separated from my desire to advocate. That’s why—even though I’ve retired from elected public service—I’m actively involved as a national advisory board member for Hispanics Enjoying Camping Hunting and the Outdoors (HechoOnline.org). Most recently, my HECHO board colleagues and I have been countering the attacks on public lands, such as the setbacks to Bears Ears and Grand Staircase Escalante national monuments and fighting to make the national Land & Water Conservation Fund permanent. So, I ask you to come along and join me in enjoying Utah’s great outdoors and historical sites. Not only that, but I hope you’ll take the time to advocate for preservation of these amazing places. Maybe we’ll see you on the road, at the campground or hiking the trail at Leprechaun Canyon. Rebecca Chavez-Houck loves “glamping” with family and friends and discovering new places to visit, especially those of historical interest. A former Utah state representative for House District 24, she now writes for her blog, Roam With a View.